Home Sustainability	FIRE SAFETY INITIATIVES AT DENIM EXPERT LTD.
Fire is recognised as a major threat to the activities of any Ready-Made Garment (RMG) manufacturing facility with even the outbreak of a small fire creating risk to both life and property, damage to the environment and will compromise the factory’s normal business activities. Denim Expert Ltd. are committed to provide a safe environment for all of our employees and visitors. Part of this safety responsibility is in the provision and management of fire safety systems and procedures. All members of our company have a statutory responsibility in ensuring compliance with the law and complying with the fire safety provisions defined within this policy. 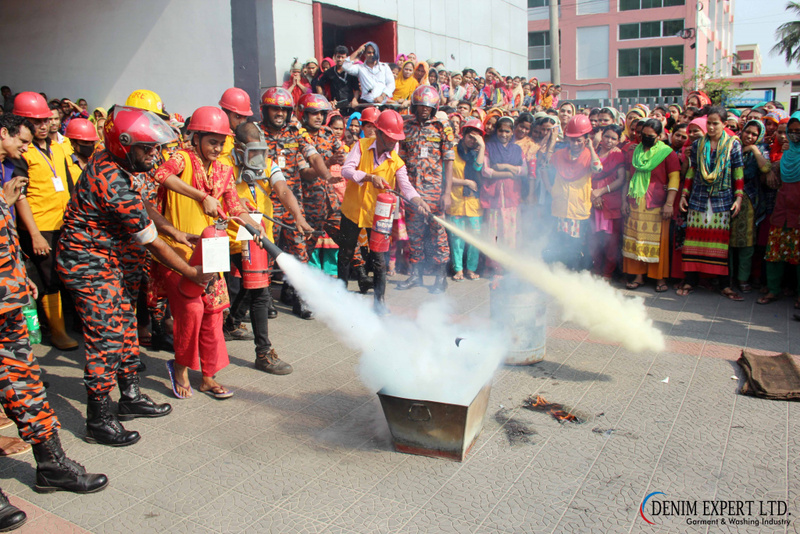 Denim Expert Ltd. will ensure, so far as is reasonably practicable, that the risk associated with fire will be managed in compliance with the Bangladesh Labour Rules 2015 and Fire Rules 2014 and any other relevant legislation that may impact upon it. The company’s objective is to ensure that we provide a robust fire safety framework that is implemented to ensure the safety and wellbeing of everyone within the Denim Expert Ltd. community and to protect the company’s assets. 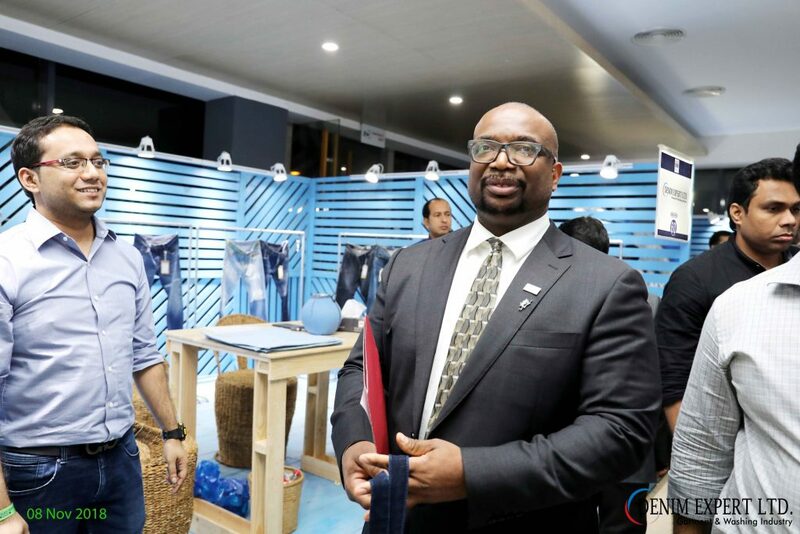 Denim Expert Ltd. has established a total of three teams in which at least 18% of the workers employed in each department have to be trained in fire-fighting, emergency rescue operation and first aid and the use of portable fire-repelant instruments. Further security is ensured by dividing the trained workers into a fire-fighting team, a rescue team and a first aid team. Fire-fighting team: The team members all wear yellow coloured aprons, clearly printed, in red, on the reverse with the word ‘FIRE FIGHTER’. The team members are responsible for the monitoring and upkeep of the sound fire alarms, switching off the floor main power supply, fire extinguishing and assisting in fire extinguishing, the movement of materials, the laying of and collection of extra fire hoses from the hose boxes and manning the gate valve point. Rescue team: The team members all wear yellow coloured aprons, clearly printed, in red, on the reverse with the word ‘RESCUE’. The team members are responsible for conducting searches in the factory building for any missing employees and the handling of stretchers. First aid team: The team members all wear white coloured aprons, clearly printed, in red, on the reverse with the words ‘FIRST AID’. The team are responsible for giving the necessary first aid support to anyone who is injured or ill, and to keep them safe until they can get more advanced medical treatment by seeing a doctor, health professional or are taken to hospital. To support the Heads of the Management Unit to meet, deliver and maintain statutory fire safety obligations. To support the Fire Warden and, Fire Fighters, Fire Rescue Members & First Team members to provide and ensure adequate training to maintain competence. Ensure initial Fire Risk Assessments are carried out for all new premises as soon as is practicable. Provide a programme for staff fire safety training. Review all fire safety risk assessments as necessary. Ensure all fire incidents are investigated and addressed to management accordingly. Fire doors are specifically designed to restrict the spread of fire and the products of combustion within a predetermined time period and will normally feature a self-closing device. All of the company’s fire doors are clearly marked as a fire door and kept closed at all times. The fire doors installed at our premises have a 2 to 3-hour fire resistance capacity and were purchased from an internationally certified company. All exit routes are clearly indicated by signage. To ensure exit routes are not compromised, no equipment or materials may be accommodated or stored within any protected exit route or protected stair enclosure. All exits must be kept clear, free from any obstruction and all final exit doors require to be easily and immediately operable from the direction of travel. Additionally, the surface finish to wall linings within stair enclosures and protected routes should be maintained free from any form of combustible wall decorations. Notice boards will be accepted in such areas as long as they are enclosed and effectively managed. Corridors and stairways that form part of escape routes should be kept clear and hazard free at all times. Items that may be a source of fuel or ignition should not be located within escape routes, such items include; fabric, cartons, garments, portable heaters, cooking appliances, upholstered furniture, machines, gas pipes and meters, photocopiers and other electrical equipment, seasonal decorations and display or exhibition material. Our fire alarm warning system is a system designed to provide an audible alarm and also includes activation by means of detecting the elements of combustion. In all cases the alarm can be activated by means of an automated alarm call point. Automatic alarm call points are situated in exit routes and at final exits of the factory building. Where fire is known or suspected, the alarm is be raised immediately. On hearing an alarm all occupants of the premises (employees, visitors, guests) must evacuate the building by the nearest available exit and assemble at the prescribed assembly point, with the exception of authorised persons for specific tasks, such as alarm investigation or PEEPs implementation. Visual warning devices have been incorporated within all of the new fire warning systems to assist in warning people. Denim Expert Ltd. have installed a fire hydrant system, meeting the standards set by ACCORD, to prevent the spread of fire from one area to another. In the event of a fire, the system automatically starts all the connected machines (jockey pump, fire pump, diesel pump) and fire fighters have access to points throughout the building for the use of fire hoses. The installed system has been calibrated and tested by internationally renowned third-party organizations, including ACCORD. 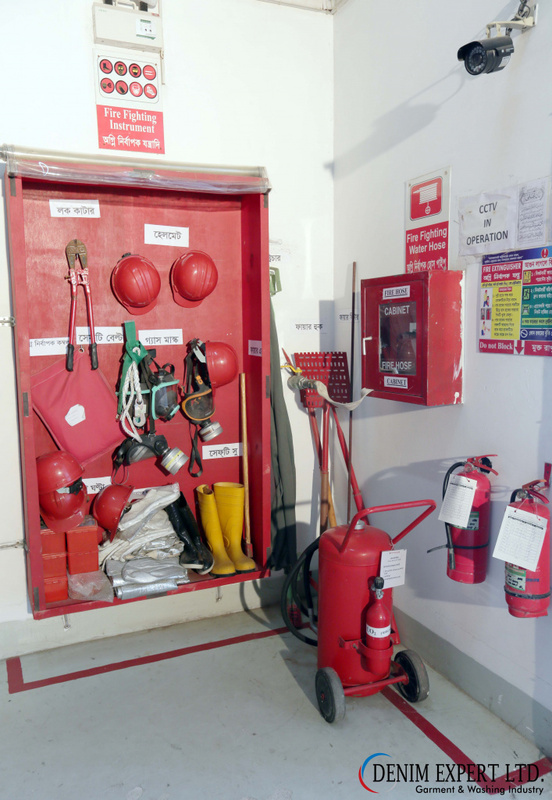 Fire-fighting equipment is allocated within fire exit routes and is also placed adjacent to areas deemed a specific risk, including computer servers and electrical transformers. The extinguishers are provided for use by trained competent personnel and should only be used when it is safe to do so and the escape route from the base of the fire is not compromised. Under no circumstances should a fire be confronted without first raising the alarm. All employees are required to familiarise themselves with the extinguishers provided within the relevant premises and the fire classification that may influence their limitations of use. Where any fire-fighting equipment has been used or is deemed unsatisfactory, the Fire Safety Officer should be advised to organize replacement or investigation of the equipment, as necessary. 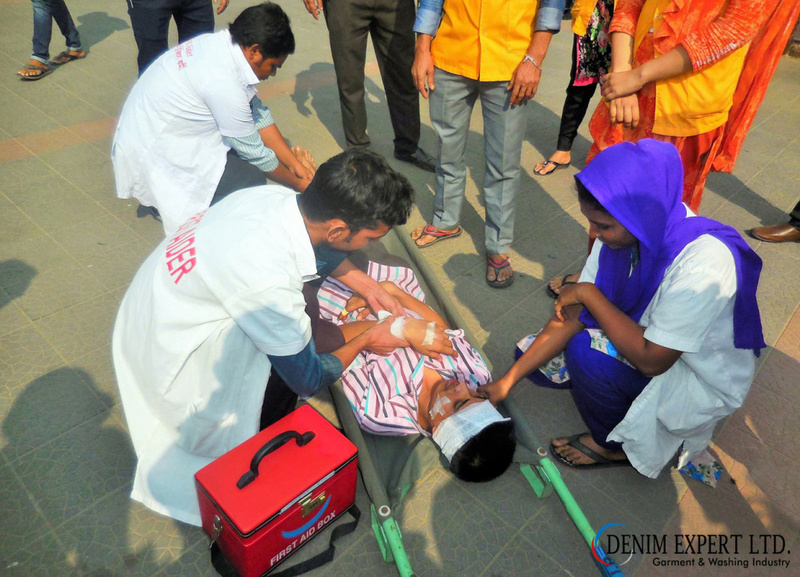 Denim Expert Ltd. ensure that we provide support for any employee facing a medical emergency. There are many examples of medical support that has bee given by Denim Expert Ltd. to our employees, whether it be direct financial support for medical charges or support for their family during their time of illness and recuperation. Fire Drills: Practice makes us perfect! Once a month the company has an unannounced fire drill exercise which is monitored by the Fire Safety Team. For the last few fire drills it was recorded that it takes 2 minutes 30 seconds to evacuate the whole factory premises, with employees gathering at designated safe assembly points. Although these times fall within accepted safety standards for our factory premises Denim Expert Ltd. continue the monthly fire drill programme and remain ever vigilant in improving fire safety at the site and have introduced evening fire drills every 6 months to offer the practical experience of a night time evacuation. The Fire Safety Officer together with the Compliance Executive of the company ensure that all employees within their management control receive regular fire safety training and all new employees undertake fire safety training as soon as is practicable after commencement of employment. Details in relation to relevant findings of the fire risk assessments and dangerous substances. 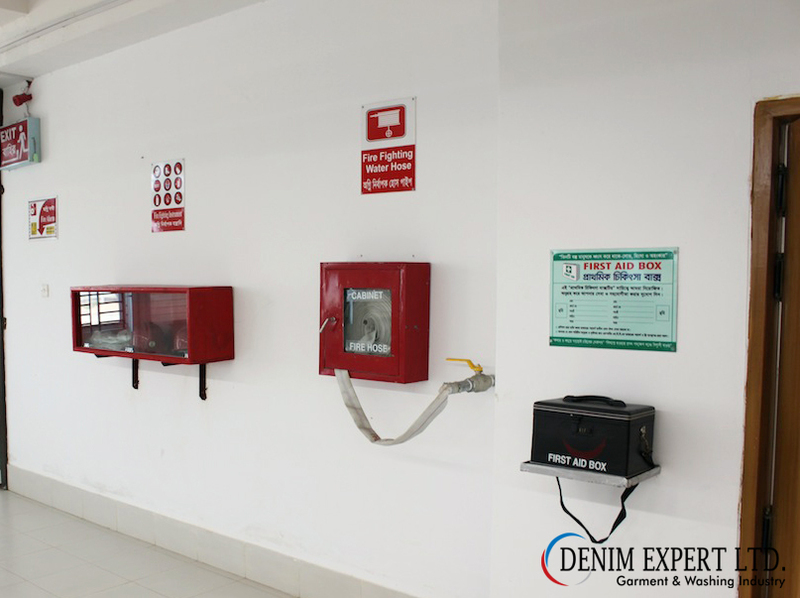 We are proud of the standards that we have set ourselves at Denim Expert Ltd. with regard to fire safety as the safety of our employees as they conduct their daily business is our paramount concern. 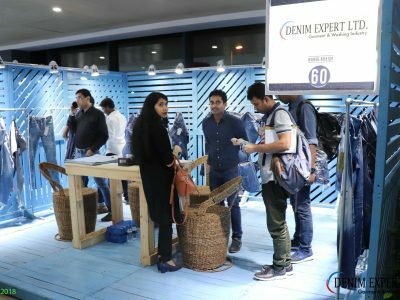 TRANSGENDER EMPLOYEES JOIN THE DENIM EXPERT LIMITED FAMILY.